TMZ says that he will reveal that he is HIV positive. HOLLYWOOD ACTOR CHARLIE Sheen set to make a “revealing” personal announcement during a live interview with NBC, as celebrity websites reported the US star was HIV-positive. NBC gave no further details on what the actor, who has long battled drug and alcohol problems, would disclose in the interview to be aired Tuesday morning on the network’s “Today” show. But several entertainment news outlets said the actor would say that he is HIV-positive. The celebrity website TMZ said Sheen, who was fired in 2011 from the top-rated Two and a Half Men set after a much-publicized spat with Warner Bros. over his behaviour, was making his HIV status public because several former partners were threatening him with lawsuits. TMZ claimed the 50-year-old actor had known about his status for more than a year and had kept it confidential, sharing it only with several friends — who spread the information. “That led to several of Charlie’s former partners contacting him and threatening a lawsuit because they were unaware of his status when they had interaction with him,” TMZ said. Sheen, the son of movie star Martin Sheen, rose to fame after starring in a number of hit films including “Platoon” and “Ferris Bueller’s Day Off”, both released in 1986. His career took off further as he became known for his television roles — “Spin City”, “Two and a Half Men” and most recently “Anger Management”. Between May 2010 and 2011, he was the highest paid actor on television earning $40 million, according to Forbes. Access Hollywood, a nightly entertainment program, said on its website that Sheen’s former wife Denise Richards, with whom he has two daughters, had long known that he was HIV positive. Quoting a source close to Richards, it said Sheen contracted the virus after the couple divorced in 2006. Email “Actor Charlie Sheen to make 'revealing' announcement as tabloid rumours swirl”. 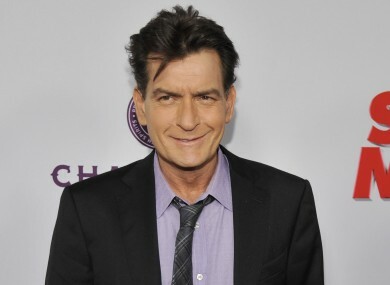 Feedback on “Actor Charlie Sheen to make 'revealing' announcement as tabloid rumours swirl”.